EJM Beauty: Getting ready for the holiday with Nspa Bathing Rituals to Boots New Seventeen " On the spot foundation"
It’s all back to normal on here since my recent break of blogging about fashion, beauty, emerging talent to my love of heels and travel. During the weekend I was in my local Boots regarding, finding things ready for my holiday which is coming up fairly soon. For now I’m trying to refresh my closet into the spring/summer season since the weather here in the UK is poor of April showers in May? Whilst having the temperature drop and up situation happening too which leaves my closet swapping from winter to spring cover ups etc. One thing above all that clothing and accessories is the way my skin looks and body feels great! The body polish works well with damp skin then it gets to work by buffing away dead skin cells within the aroma of Jojoba, rose, sandalwood, and white jasmine. It is easy to combine this step of body polishing with their entire other bathing rituals products which cover Step 1 which is a body cleanser and Step 3 which is a body moisturise. It is easier as 1, 2, and 3. These products can be found in your local Asda or shop online. Secondly on my before holiday list as I mention before is about making sure my skin looks great without breaking the bank. 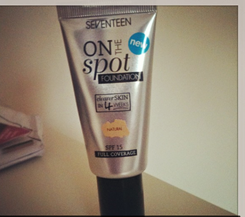 In that request from myself I purchase from Boots Seventeen new foundation called “On the Spot Foundation”. This new foundation which comes at the price of £5.99 (please check before purchasing) is said to help clearer skin in four weeks. What? I had a talk with one of the boots member of staff regarding the product and its true what it says on the tube that it clears the skin up to four weeks since, it features the ingredients of salicylic acid which is normally found in spot treatments and cleansers. This ladies means that you can do your normal skin routine of cleaner, exfoliate, toner, and moisturize then put your make up on which will help your skin to clear up. 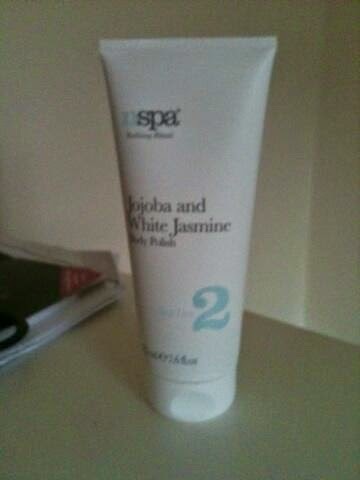 I’m trialling this product from Today Sunday 18th May to 1st June (4 weeks) to see if this really works. I’ll be reporting back throughout the four weeks and at the end of the four weeks to see if this foundation really clearers your skin up in four weeks. *I’ve paid £5.99 for this product at my local boots and I’m not getting paid to do a trial or a review on this product done by seventeen. On Thursday is another round up of EJM Beauty where I talk about getting into that beach babe body.